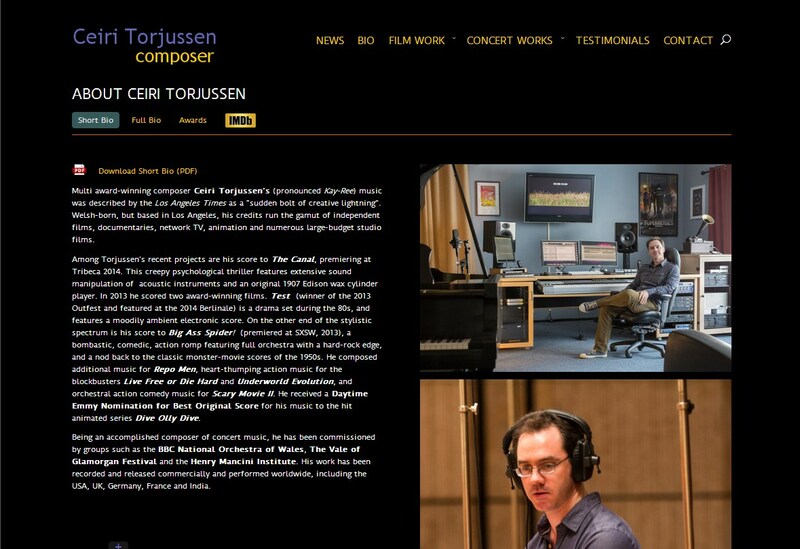 Emmy nominated composer, Ceiri Torjussen, whose credits run the gamut of independent films, documentaries, network TV, animation and numerous large-budget studio films. 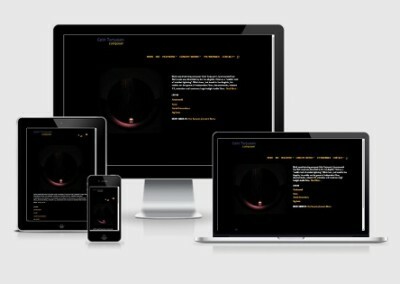 What makes Ceiri Torjussen’s website unique is that it has a continuous audio player, which means that visitors can listen to music while browsing without any interruption to the track. 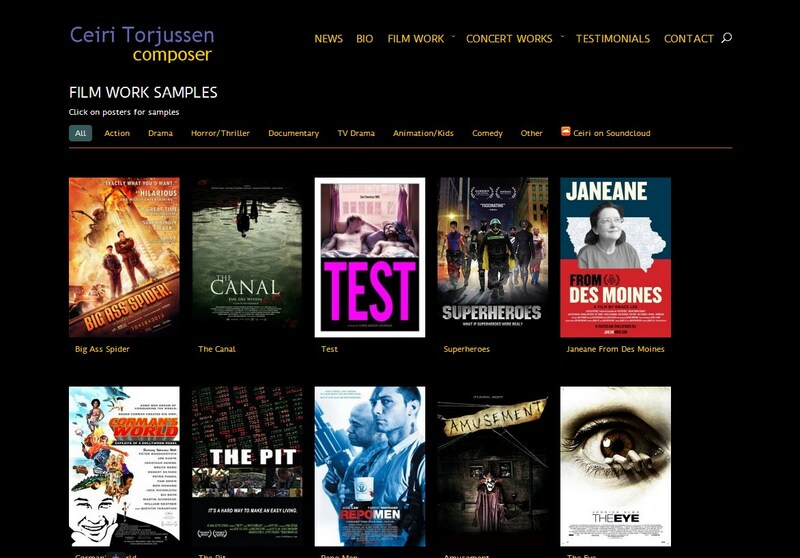 Mr. Torjussen’s film samples each lead to their own individual page with their poster, video trailer and several audio samples that are played in the continuous audio player - making this website a wonderful audio feast! 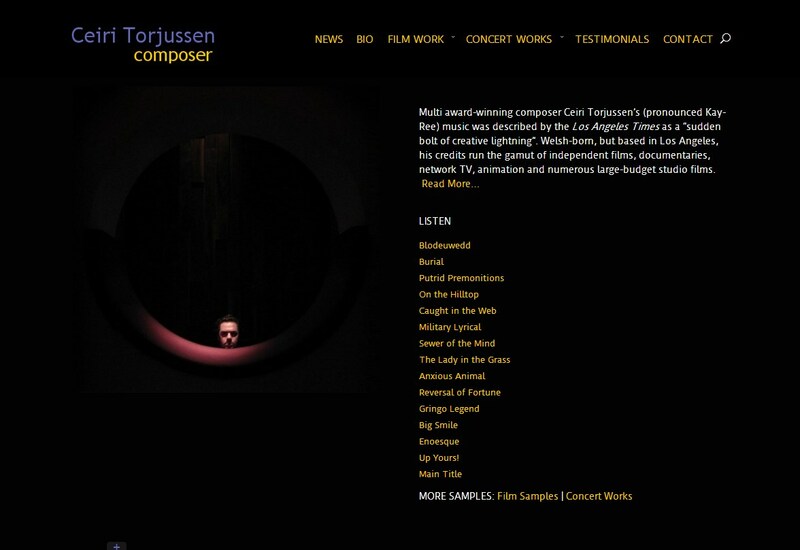 Multi award-winning composer Ceiri Torjussen‘s music was described by the Los Angeles Times as a “sudden bolt of creative lightning”. 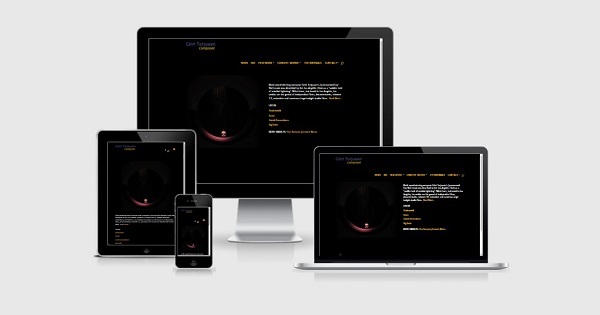 Welsh-born, but based in Los Angeles, his credits run the gamut of independent films, documentaries, network TV, animation and numerous large-budget studio films.